How did you feel when you are in a bathroom, and you intend to look into the mirror but disillusioned due to fog over the mirror that you are unable to see your face in it? But with the introduction of Next Generation Fogless Mirror, your dream could become a reality. 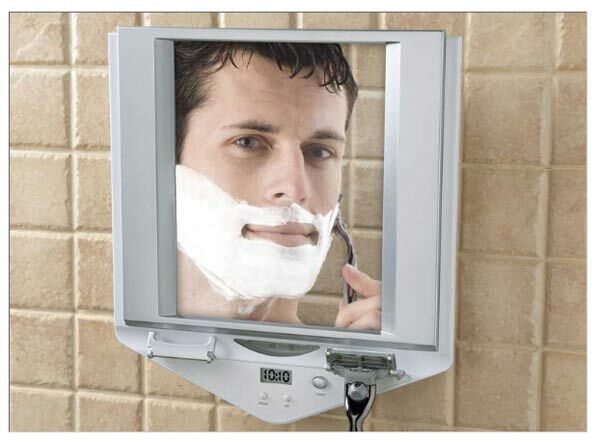 Thus, by mounting this Next Generation Fogless Mirror in your bathroom, you can fulfill your cosmetic needs. It is just pure curiosity that people try to look at themselves while in shower and compare themselves with the actor they saw in a movie while bathing. Fogless mirrors come in different shapes and sizes; some even include a radio with it, so while showering you can listen to the music. However, this Next Generation mirror which is fogless and cordless could be the perfect choice for your shower or bathroom. This mirror contains two razor holder along with an LED Surround Light™, and 1 x-5 x adjustable magnification so that you can take care of your face easily. With the help of the automatic timer in it, the lights are turned off automatically after five minutes. The Next Generation fogless mirror offers three mounting options like hanging cord, suction cups, and double-sided tape. It has also an LCD clock alarm. By becoming the proud owner of this Next Generation mirror, you can shave in an ultimate environment and won’t be bothered with the steam and humidity which often surround along with the hot water in the bathroom. With its dual LED lights, you can keep track of how you are shaving. With its super suction cups and hanging cord, it would be possible for you to hang your mirror anywhere and mount it on anything. No hassles involved.